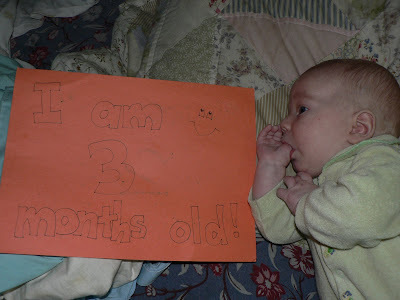 inKLEINations: Joshie is 3 months old! ...and then some! He is looking to be a thumbsucker, like eleven of his older siblings. 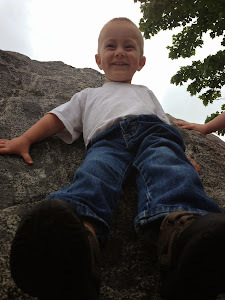 He chuckles and smiles and tries to sit up. Last night during our family prayer time, I peeked and saw him turn his head to see whoever was praying out loud!